A great summer scarf is essential--they're lightweight and breezy, versatile (they make wonderful headwraps and sarongs), and they add a little something extra to simple sundresses. 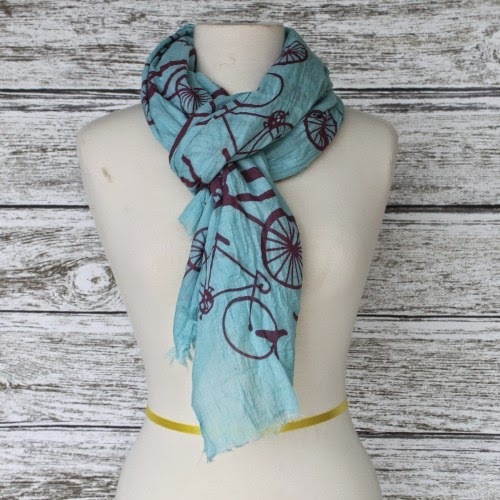 This one has the cutest bicycle print, and I simply adore the eggplant and pale turquoise colors. I'm thinking a bright red lip would look gorgeous with this little baby.